Discrete and process manufacturing are expected to spend more than $333 billion combined on digital transformation. Digital Transformation (DX) spending in 2018 will be led by the discrete and process manufacturing industries. 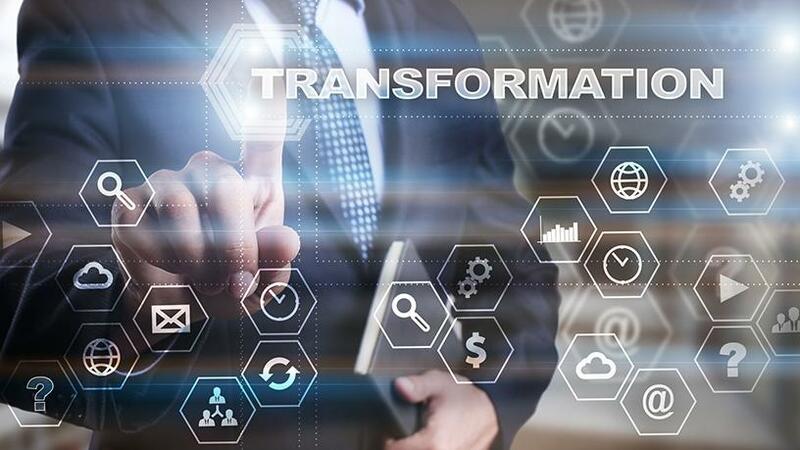 This is according to the latest report by International Data Corporation's (IDC) Worldwide Semiannual Digital Transformation Spending Guide, which shows that in 2018 the manufacturing sector will not only spend the most on DX solutions, but also set the agenda for many DX priorities, programmes, and use cases. The report examines current and future spending levels for more than 130 DX use cases across 19 industries in eight geographic regions. The results provide new insights into where DX funding is being spent and the priorities being pursued. Worldwide spending on the technologies and services that enable the digital transformation of business practices, products, and organisations is forecast to be more than $1.1 trillion in 2018, an increase of 16.8% over the $958 billion spent in 2017, says IDC. In the Middle East, Turkey, and Africa region (META), the annual spending on DX initiatives is set to top $38 billion by 2021, says IDC. The quest to scale digital businesses will lead to organisations in META adopting a 'cloud-first' or 'cloud-only' approach, with spending on public cloud services topping $1.1 billion in 2018. The next several years will bring about the digital transformation of manufacturing industries, touching nearly every aspect of business as existing systems, jobs, and business processes are instrumented, redefined, and optimised with artificial intelligence, says technology market research firm ARC Advisory Group. Information technology, operational technology, engineering technology, supply chain, asset management, services, and customer-facing systems will all be impacted, it says. Discrete manufacturing, process industries, utilities, energy, infrastructure, and more are already beginning such transformation, the research firm adds. Discrete and process manufacturing are expected to spend more than $333 billion combined on digital transformation solutions in 2018, representing nearly 30% of all spending worldwide this year, says IDC. The main objective and top spending priority of digital transformation in both industries is smart manufacturing, which includes programmes that focus on material optimisation, smart asset management, and autonomic operations, it adds. Driven in part by investments from the manufacturing industries, smart manufacturing ($161 billion) and digital supply chain optimisation ($101 billion) are the digital transformation strategic priorities that will see the most spending in 2018, it notes. Meanwhile, according to an Oracle study, although the majority of manufacturers worldwide have invested in Industry 4.0-led programmes, only 17% have transformed their business models as a result, with only a quarter of manufacturers gaining greater visibility into how customers purchase and use their products. Oracle partnered with Coleman Parkes to survey 700 chief experience officers, managers, heads of strategy and supply chain leaders. Just over half are using customer data to inform the design and manufacture of new products, says Oracle. "It's good to see manufacturers reaping some rewards from Industry 4.0, but there's clearly a long way to go before investments begin to have the transformative impact they promise, says John Barcus, vice president, manufacturing industries for Oracle. "Removing siloes internally is a good start, but that digital thread has yet to extend outside the organisation and throughout the value chain. Using interoperable and interconnected cloud-based systems is the easiest way manufacturers can securely integrate supplier and distributor data and make better use of customer and sensor data to manage the impact of disruptive forces."